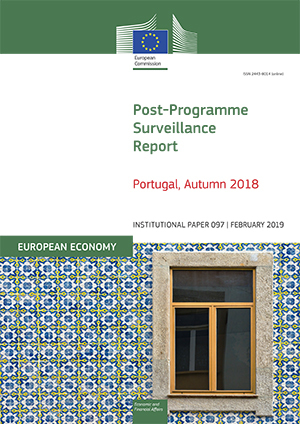 This report by the European Commission presents the findings of the ninth post-programme surveillance mission to Portugal and identifies remaining challenges for the Portuguese economy. Institutional Paper 097. February 2019. Brussels. PDF. 48 pp. Tab. Graph. Bibliogr. Free. JEL classification: E61, E62, E66, F33, F34, G28, H1, H2, H5, H6, H8.